Use this Liberty 1-1/4 in. Satin Nickel Triangle-Base Knob to help give your kitchen or bathroom a clean, contemporary appearance. Make a statement without having to say anything at all when this knob is displayed. The necessary hardware is included for installation. The clean lines of this knob fit several design aesthetics including traditional and casual home decor and would be a beautiful accent to any cabinetry or furniture. Multiple finishes available. Installs easily with included hardware and is a noticeable change for any cabinetry. 1-1/4 Domed Triangle-Base Knob, 1 per pkg Use this Liberty 1-1/4 in. 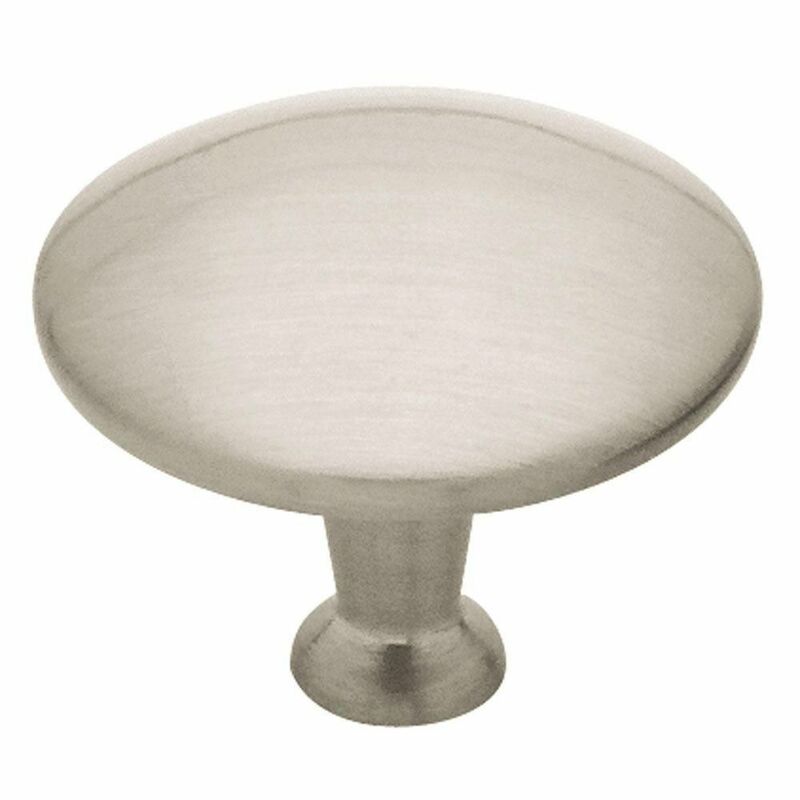 Satin Nickel Triangle-Base Knob to help give your kitchen or bathroom a clean, contemporary appearance. Make a statement without having to say anything at all when this knob is displayed. The necessary hardware is included for installation. 1-1/4 Domed Triangle-Base Knob, 1 per pkg is rated 4.5 out of 5 by 2.